Don't tell me you're surprised that Battlefield 1 was getting a premium pass? Of course you're not. So how much is it going to cost and what's coming with it? Well, cost is not announced, but if it's like Battlefront, it'll be $50.00. Hopefully, it'll be less than that, but I'm going to guess it's going to cost almost as much as the game itself. Getting the premium pass will net you 4 DLC expansion and two weeks early access to each one. 16 new maps, 20 new weapons, new vehicles, new skins, new game modes, and a partridge in a pair tree will be all yours without having to buy them individually. I'm kinda excited about Operations as that sounds like how Battlefield 2 was if my memory is correct where the winning side would determine what the next map was. 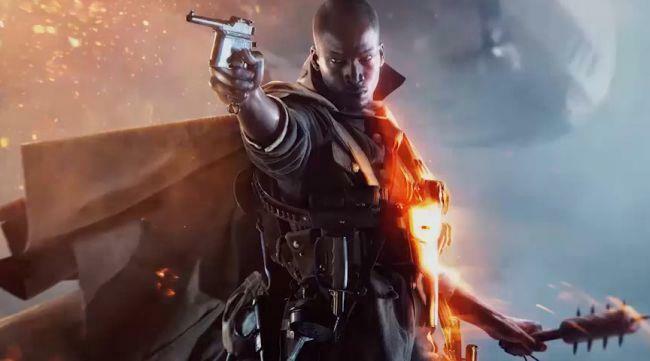 Battlefield 1 is expected to be out on October 21 on the PC, PlayStation 4, and Xbox One. STOCKHOLM, Sweden – August 24, 2016 – DICE, an Electronic Arts Inc. (NASDAQ: EA) studio, today announced Battlefield™ 1 Premium Pass*, a membership program delivering new content and early access to Battlefield 1 fans in four upcoming themed digital expansion packs.Battlefield 1 Premium Pass members will be granted two-week early access to each pack, starting with Battlefield 1 They Shall Not Pass in March 2017 that will bring the French army into the battle in multiplayer. Battlefield 1 launches on October 21, 2016 worldwide on Xbox One, Origin for PC and PlayStation®4. Players who pre-order the Early Enlister Deluxe Edition can start playing on October 18**. EA Access*** and Origin Access*** members can try Battlefield 1 before it’s released for a limited time as part of a Play First Trial starting October 13, on Xbox One and PC respectively. EA Access members receive a 10 percent discount when they purchase a digital version of the game on Xbox Live, and Origin Access members get a 10 percent discount when they purchase the game through Origin.